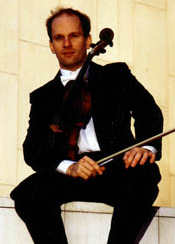 Eric Koontz has led the viola sections of the Barcelona Symphony Orchestra (Orquestra Simfònica de Barcelona i Nacional de Catalunya) and the Jerusalem Symphony Orchestra before returning to the United States to pursue studies towards the Doctor of Musical Arts at the University of North Carolina at Greensboro. In Barcelona, he premiered Max Bruch's Double Concerto for Viola, Clarinet and Orchestra on the Iberian Peninsula under the baton of Lawrence Foster. An active chamber musician, he was a founding member of the Nayades Trio (flute, harp and viola); the Reinecke Trio (clarinet, viola and piano); and the Quartet Glinka, with whom he participated in performances of the complete string quartets of Dmitri Shostakovich at the Juan March Foundation in Madrid. In Israel, Koontz has performed with Music in the Desert, a festival for new music at Kibbutz Sde Boker, directed by Michael Wolpe. As a chamber and symphonic violist, Koontz has recorded with the RCA, EMI, Ars Harmonica, Columna, Koch and Decca labels. He earned the Bachelor of Music at the Cincinnati College-Conservatory of Music, and holds the Master of Music and the Master of Musical Arts degrees from Yale University. 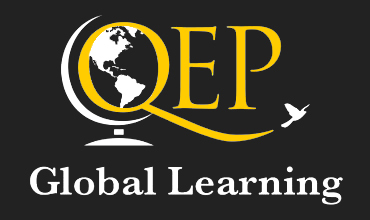 He has studied with Donald McInnes, Scott Rawls, Msao Kawasaki, Jesse Levine, Hatto Beyerle, Gerald Stanick, Jaap Schroder, and Lawrence Dreyfus. Koontz joined the string faculty at the Hayes School of Music at Appalachian State University in 2005 and the faculty of the Brevard Music Center in 2004. Examples of his writing in print include the articles "Els músics i els reptes de l'OBC" (4 April 2002, Avui newspaper, Barcelona) and "Una orquesta eficaz y plural" (November 2002, Scherzo magazine, Madrid). Dr. Koontz coaches string chamber music, the Hayes Viol Consort, and the graduate ensemble Hayes String Quartet in addition to teaching Viola, String Methods, Orchestral Excerpts for Bowed Strings, and Literature and Pedagogy at the Hayes School of Music. Dr. Koontz also serves as Coordinator of the String Area.